The Cardiff Open Championships and UKITF Spring National Championships where our first two events of the year. 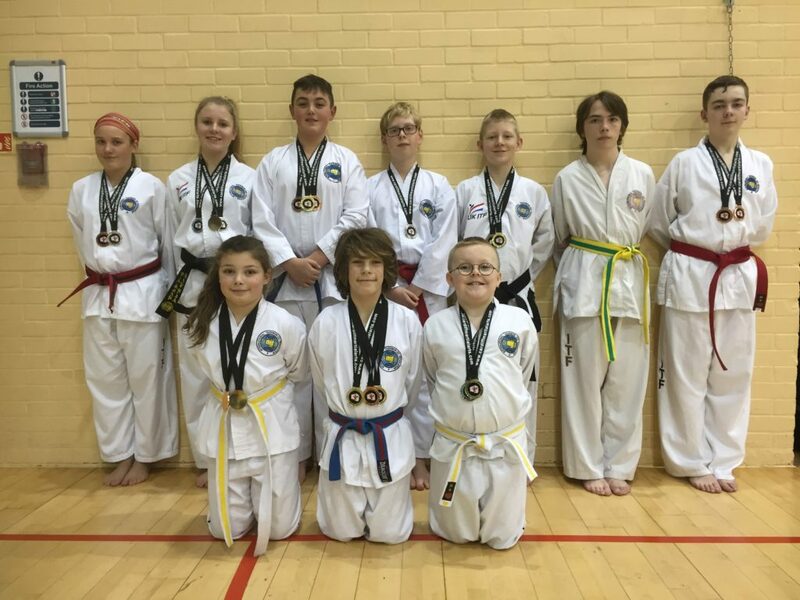 Torbay TKD’s first competition trip was the beginning of February to Cardiff where Little Dragons (4 – 7yr olds), Juniors and adults alike enjoyed great success and a fun day out. The music was playing and everybody got to stand on the podium – 19 competitors came back with 36 medals, 12 of each colour! 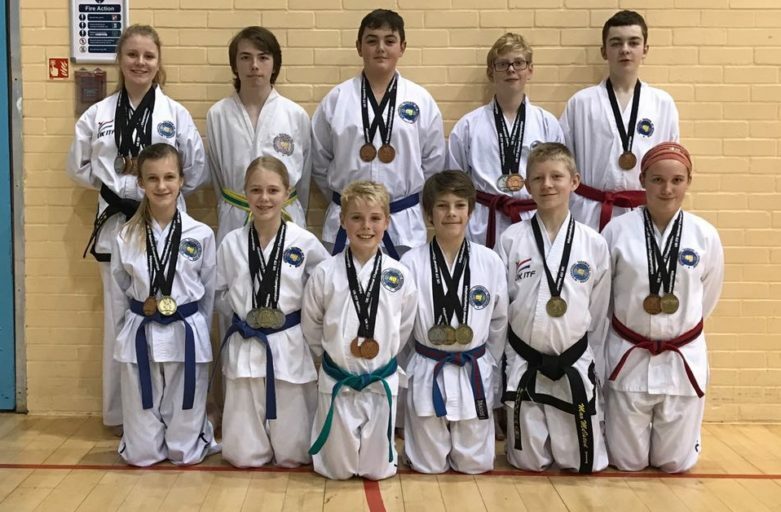 (12 Gold, 12 Silver & 12 Bronze) It was a well run and family friendly tournament organised by ex- Torbay TKD student Mr Kevin McCabe 6th degree, the Chief Instructor of Cardiff Martial Arts. The Second, on the 18th February, was a trip to Bath University for the UKITF Spring National Championships. 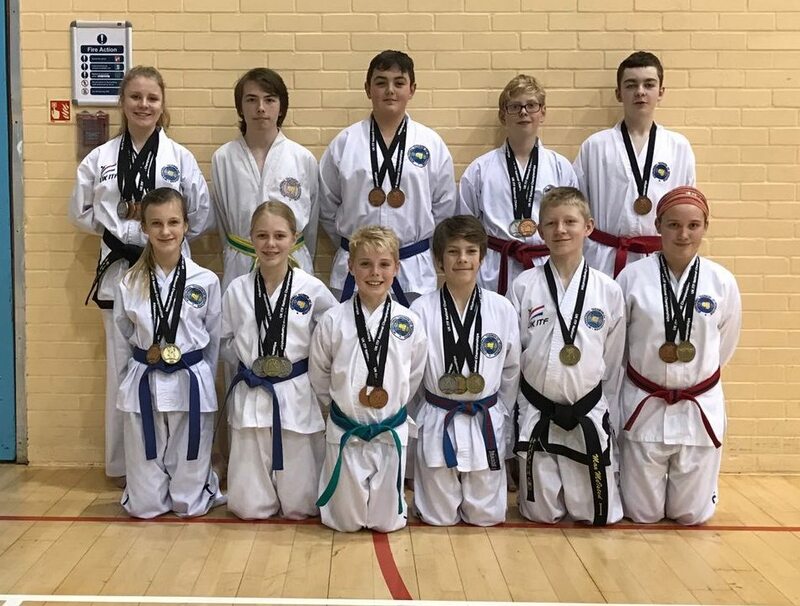 Unfortunately there was no Little Dragons events but the Juniors and Adults did another fantastic job of bringing back a big medal haul – 16 competitors won 34 medals, 10 Gold, 10 Silver, 14 Bronze. This is a great result from a national event,competing against others from all over the UK and some teams from Ireland and Spain too. Events included Patterns, Sparring, Special Technique and Destruction. There are some awesome photo’s on the Facebook page so please check them out and thank you to all the competitors, parents and supporters for making both days so enjoyable and successful.